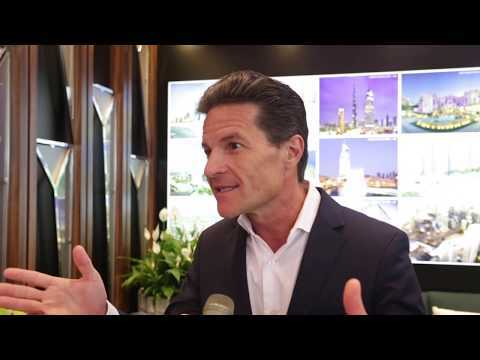 Breaking Travel News speaks to Olivier Harnisch, chief executive of Emaar Hospitality Group, about the changing configuration of the hospitality market in the Middle East during the Arabian Hotel Investment Conference in Ras al Khaimah. With Expo 2020 on the horizon, he also tells us how important the event is likely to be for tourism in Dubai. Overseeing all aspects of the hotel, Nicolas Chammaa will be responsible for the day-to-day operations and in driving the hotel’s strategic growth. Emaar Hospitality Group has appointed Riad Abi Haidar as the general manager of two premium luxury hotels under the Address Hotels + Resorts brand. Emaar Hospitality Group has appointed hospitality veteran Mark Kirby as the area general manager of four premium luxury hotels under Address Hotels + Resorts. Emaar Hospitality Group has appointed Eleni Tsolakou to the role of general manager of Address Dubai Marina, the waterfront destination overlooking Dubai Marina. Emaar Hospitality Group, the hospitality and leisure business of global developer Emaar Properties, has boldly reimagined the hotel, an exceptional and exclusive city shopping retreat in the Dubai Mall. With a new look and sparkle, the all-new Address Dubai Mall seeks to redefine premium luxury with its ultra-modern hotel rooms and suites, exceptional dining concepts and wellness facilities. Emaar Hospitality Group has announced the appointment of Alma Au Yeung as its corporate director, strategic projects and partnerships. In her new role, she will have overall charge in driving the group’s strategic partnership with Expo 2020 Dubai. Organisers of Expo 2020 today unveiled Dubai-based Emaar Hospitality Group, the hospitality and leisure subsidiary of global developer Emaar Properties, as its newest partner. Over 1,800 associates of Emaar Hospitality Group, the hospitality and leisure business of Emaar Properties, have completed the ‘Dubai Way’ training launched by the Dubai Department of Tourism & Commerce Marketing. Emaar Hospitality Group has, in partnership with the Kalyan Group, marked its expansion to sub-Saharan Africa to operate Address Hotel 2 Février Lomé Togo, a hotel set in the heart of the city and in the tallest building in Togo. Rove Hotels has announced Rove La Mer, located in the heart of La Mer, Dubai’s new beachfront. Set by the Arabian Gulf and with views of the city skyline, the 366-room Rove La Mer marks the newest addition to the growing portfolio of properties in the UAE.